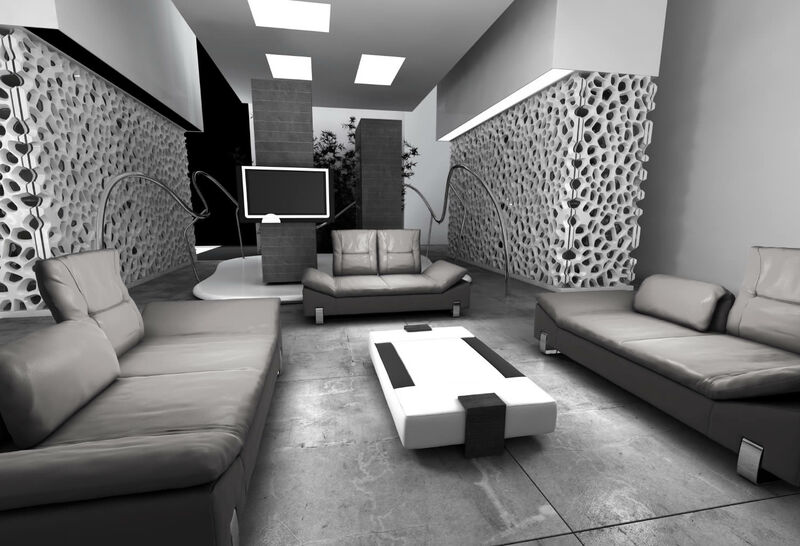 A textured or rough finish on a concrete floor can be very expressive. A textured or rough finish on a concrete floor can be very expressive. 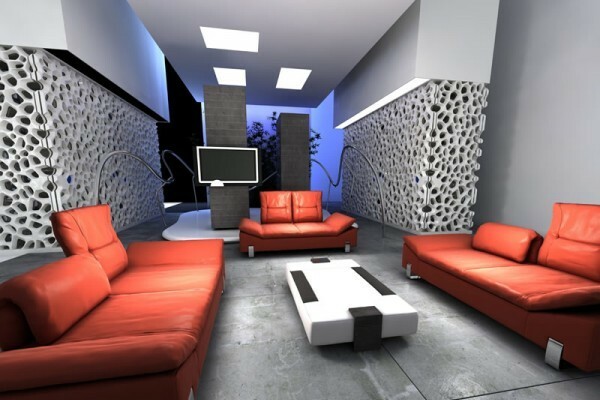 The combination of strong colored furniture and dark coloured concrete floor with “personality” is the key to create the right atmosphere in these two rooms. Strong red sofas are used in this living room to contrast with the floor, the white ceilings and specially designed wall panels. 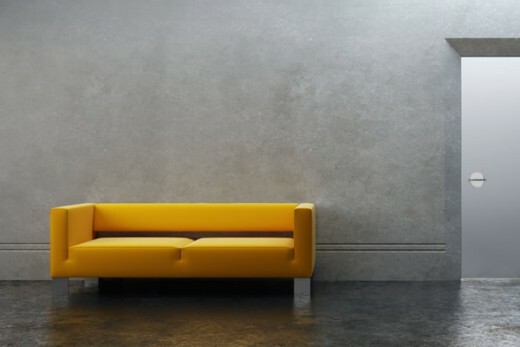 In the waiting room a strong colored yellow sofa is used to contrast the concrete walls and a rough textured metal finish on the floor.